One of the best garden carts you can own is the Gorilla Carts Poly Garden Dump Cart. It carries up to 600 pounds, which is plenty of weight capacity for most gardeners’ needs. Plus, it moves easily through all kinds of terrain, thanks to its 10-inch tires. However, you may want a folding garden cart for easy storage or a steel garden cart for added durability. We have a few other recommendations for best garden carts that are likely to benefit you and your garden. When you’re gardening, you want to make the process as easy as possible, right? You may find yourself lugging tools, soil, and plants around, which isn’t good news for your back or your energy level. A garden cart, also sometimes referred to as a utility cart, can be the perfect solution for your gardening needs, and many gardeners can benefit from using one. What is the Difference Between a Wheelbarrow and a Garden Cart? People sometimes use the terms “wheelbarrow” and “garden cart” interchangeably, but they are different pieces of equipment. The one you choose depends on your needs and preferences. The main difference between the two is in their designs. A wheelbarrow usually has just one wheel in the front, or sometimes two together if it’s designed for heavier loads. It also has two handles in the back for you to hold and push, and two legs to rest the wheelbarrow when not in use. In contrast, a garden cart is designed more like a wagon. Garden carts usually have four wheels, or two wheels spread out in the front, to distribute weight evenly and one handle to pull the cart with. For commercial gardening, larger garden carts can be hooked up to a tractor and pulled from behind. Each piece of equipment has its pros and cons, depending on what you use them for. A garden cart is often more stable because of its 4-wheel design. However, a wheelbarrow tends to offer more maneuverability for tight spaces. Garden carts, because of their functionality and strength, are usually more expensive than wheelbarrows (source). What Can You Do with a Garden Cart? Removing, adding, or transporting soil, compost, etc. The best garden cart can carry a high weight limit, making them helpful in transporting heavy soil and compost to a garden area, or disposing of old soil. Disposing debris. Tote a garden cart around your garden to help hold plant debris, branches, and anything else you need to dispose of from your garden. Transporting garden tools and plants. Garden tools and equipment can be heavy and put a strain on your back. Large potted plants can also be difficult to transport across large gardens. Garden carts make the transporting process much easier on you. Storing and transporting harvested produce. As you harvest your fresh produce from your garden, use your utility cart to hold your harvested produce and gardening tools and help transport them inside. Moving landscaping items from one area to another. Landscaping items, like bricks, trellises, pots, and wood, can be much easier to transport around the garden with a garden cart (source). Folding or space-saving ability. If storage space for gardening equipment is an issue, you may want to consider a garden cart that’s fully or partially foldable. Wheel size and type. Depending on the terrain you’ll be using your garden cart on, some wheel sizes and types may not do the trick. 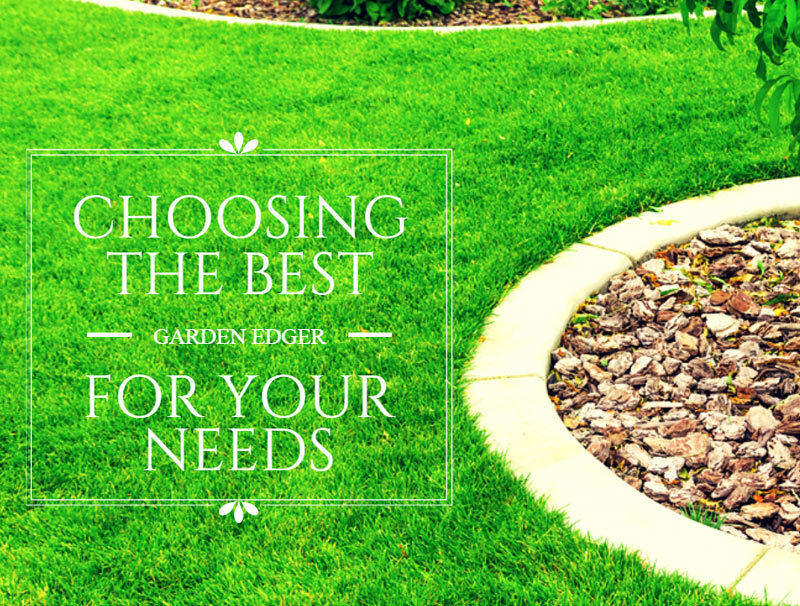 Small wheels could get stuck in loosened soil, making it difficult for you to pull the cart through your garden. Weight capacity. You’ll want to make sure your garden cart can handle the loads you need it to carry. Smaller garden carts may not be able to lug large amounts of soil or gardening tools. Durability. Will you be using your garden cart frequently? If so, you’ll want to make sure it lasts. A hard plastic or steel frame may be the best choice for gardeners who will frequently lug heavy loads (source). Although garden carts are excellent gardening helpers, they can be used for much more than gardening! They can also be a unique addition to your garden as a decoration. Consider using a steel or wooden garden cart painted with a bright color to liven up your garden. Add some potted flowers for an interesting focal point. And, you can even do this after you’ve utilized the garden cart for the growing season. You may also consider using a garden cart as a seat while you garden. Some garden carts have a side or two that detaches or folds down so you can transport a wide range of items. But, this also creates the opportunity for a gardener’s seat to save your back and legs some work as you prune, water, or harvest. In the fall, use your garden cart to transport bundles of leaves after you rake them. In the spring and summer, let your garden cart hold insecticides for pest control around your yard. In the winter, your garden cart can carry salt for you to spread on walkways and steps. The Gorilla Carts Poly Garden Dump Cart is the overall best garden cart that meets most gardener’s needs. At only 35 pounds, this garden cart is light enough for most gardeners to pull and maneuver easily, yet it lugs up to 600 pounds of weight. You likely want your garden cart to last season after season. This rust-resistant poly bed will last you year after year. Remember to clean it out thoroughly after each use to avoid buildup. You can line the bed with a sheet or blanket to avoid scratches. Additionally, the steel frame ensures that your loads won’t sag the garden cart, while providing the strength and support needed for transporting materials. Your garden cart should also leave less work on you, and this garden cart does that. With its large, 10-inch tires, the cart moves easily through most terrain, so you won’t have to worry about straining your back to pull it, even with heavier loads. To keep your garden cart in the best shape possible, store it out of the elements when it’s not in use, like in a storage shed. Check the tires every few months for wear and tear and air capacity. If needed, you can replace the Gorilla Carts Poly Garden Dump Cart tires or tire tubes by ordering them from the company.